Valentine’s Day is Only 11 Days Away! Hurry – Last Chance to Order a Personalized Gift for your Loved Ones. 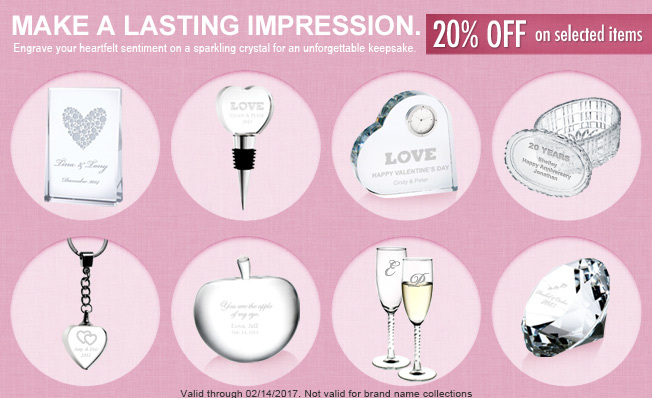 Save 20% off Select #Valentine Items Now atCrystalPlus.com!